The SanDisk Sansa Media Converter software program is an all-inclusive media converter program for Sansa media players. It works with different types of Sansa players, including the Fuze and Clip. You can also use this program for converting files for other media players, but the software is specifically for Sansa players. The converted files may not work with your media player. Always read your user manual to determine what files your device supports. The Media Converter does not come with your device, so you will not see a CD in your package. Instead, you need to download it from the SanDisk website. This is sort of an aggravation, since most other media players come with a software CD or it is simply a plug and play device. This extra step could be confusing for people who do not have a lot of technical experience. The Media Converter is part of the Sansa Firmware Updater. You must first install this program and then connect your Sansa device to your computer. Go to Start and then Programs. Locate the SanDisk folder in the list of programs. 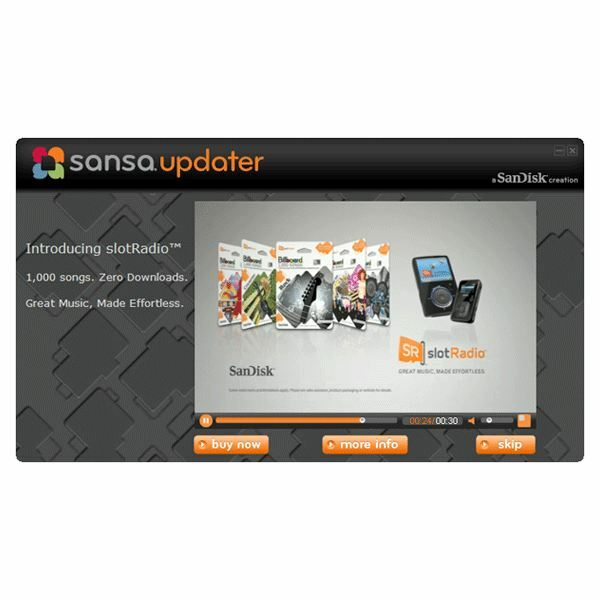 Navigate to the Sansa Updater folder and click on the Sansa Updater program. The program should now start up. Download Now button. Open up the converter program, and select Add Media. Select the file that you want to converter, and hit Open. You can convert multiple files at once, which is known as batch processing. This is one of the great benefits of this free program since it cuts down on the amount of time that you have to spend converting files. To convert multiple files at once, simply select more than one using the Control button. Or, just keep adding files via the Add Media button. Once you are done, hit the Convert button to start converting your files. Leave your Sansa player connected to your computer during this process. The Media Converter will automatically transfer the newly converted files to your device. This leaves that you cannot convert popular video formats like RMVB, FLV, MKV, RM and OGM. If you have videos in these formats, you must use a different media converter. Luckily, there are a number of free media converters that more than adequately do the job. One example is the Quick Media Converter HD. This is a free program for Windows, which converts both video and audio files. It also has its own media player. The interface is extremely nice with all the supported formats at the top, including FLV, DVD, VCD and PSP. You simply select the conversion format, and add your files. You press the Convert button to start the conversion process. You can also preview your changes. This program also allows you to perform batch conversions. If you need to convert MKV files, the Aleesoft Free MKV Converter converts these files into files supported by different devices, including the Sansa. You can change MKV files into formats like SWF, MOV and XviD. A similar program for RMVB files is the RMVB Converter 2.0.55. This program is freeware, meaning that you never have to pay for the program. It has a simple interface. You simply open up the RMVB file, and select an Output Folder and Output Video Format. Then press Convert, and watch the progress of the conversion in the Progress bar. 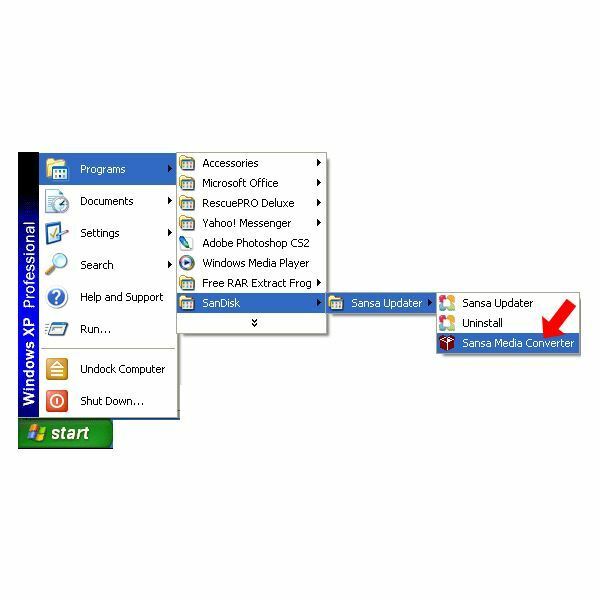 If any of these programs do not convert files into formats supported by Sansa, you can convert the files into a format that the Sansa Media Converter software can actually handle. For example, if you have a MKV file, convert it into a MOV file. Then you can open up this MOV file in the Media Converter and change it to a supported format. The one issue with this later process is that your video will be going through several forms of compression. This can affect video quality, meaning that your video may not look as crisp as the original.